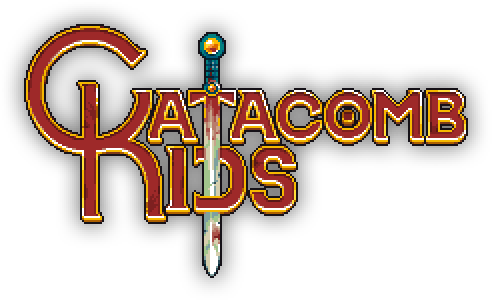 Catacomb Kids is a roguelike platformer with a heavy emphasis on the roguelike aspect. Combine quick reactions, with tactical engagement and strategic character growth to overcome the challenges that await you in the deep. The game features a deep system of items and enemies that interact to turn every run into a unique adventure. The game is currently in development, meaning there are many more features in store. Purchasing the alpha will ensure you get all future versions of the game, with a new build coming out roughly every month. The game's development is Livestreamed every Monday from 3-6PM PST, at twitch.tv/fourbitfriday. In addition, you can join the Discord channel any time to talk to me directly about that Catacomb Life and the latest changes.